Hey guys, I'm using Dolphin 4.0.1 on Windows 7 x64 Pro. 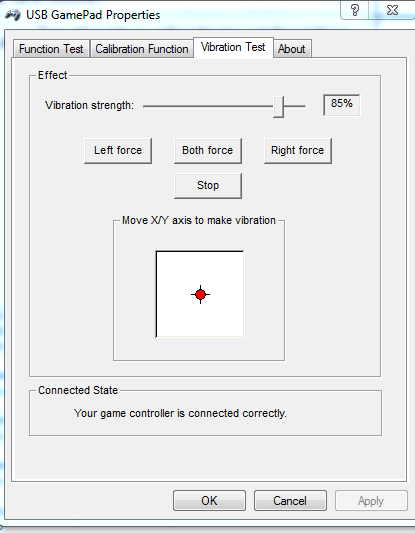 I've configured the Gamecube controller exactly like you show in the wiki however when I try to set up the rumble there is nothing detected. I'm baffled by this since Windows itself can detect the rumble. Here is what shows in the Gamecube settings. http://imgur.com/qogiXKH As you can see the rumble feature is fully detected and I can test out the rumble function of my controller. So why can't Dolphin detect it? Edit: Got screenshot to show. 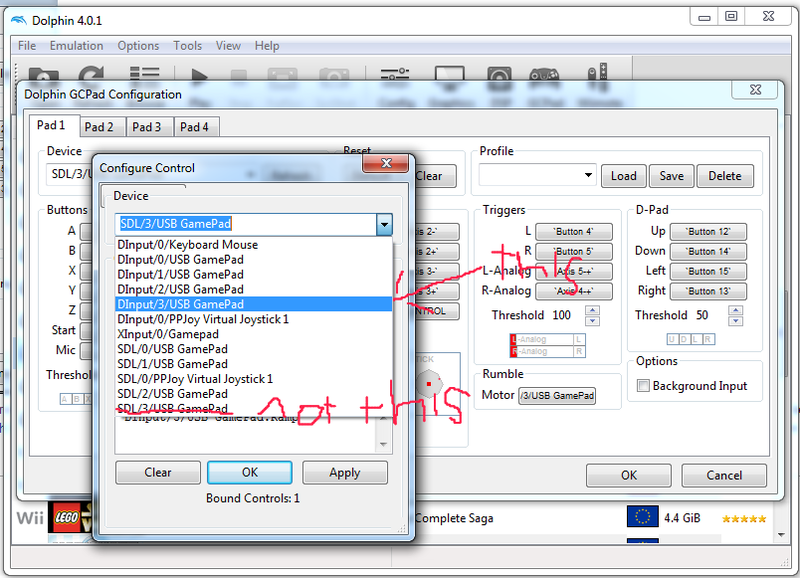 Edit 2: Just FYI Port 1 - Standard Controller is set. Okay guy I got it working. I had used the wrong device. Apparently Dolphin can see each USB controller as two devices. To use rumble you need the DInput. I was using the SDL device. I've included a pic. Hope this helps you guys out. Have you had any issues with rumble ceasing to function after a while? And if so does dolphin tend to crash when you end the emulation?